As highly trained dental professionals, Advanced Dental Health uses a variety of techniques to enhance the aesthetics of their patients’ smiles. One of the most versatile of these procedures is dental bonding. At Advanced Dental Health, located in Phoenix, AZ, we offer this treatment as a conservative way to cover minor cosmetic flaws. Chips, cracks, gaps, and discoloration can all easily be concealed with bonding. We can even refine the size or shape of a tooth to enhance the symmetry of your smile. ​​​​​​​In order to be a candidate for bonding, patients should have good oral health. If your teeth have damage requiring restorative procedures, or if your gums have infection requiring periodontal care, these issues should be taken care of prior to receiving dental bonding. Dental bonding is best for areas of low bite pressure such as the front teeth. We will carefully examine the type and location of aesthetic concerns you wish to address. In some cases, we may recommend a dental crown or a porcelain veneer instead of bonding to ensure that your treatment will be successful. The bonding procedure requires no anesthesia, and takes approximately 30 minutes to one hour for each tooth. Using a shade guide, we will select a color of composite resin to match your teeth. 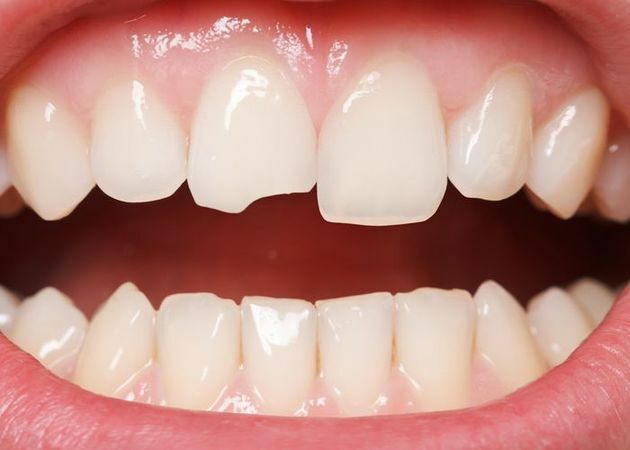 Your tooth will be cleaned and the surface will be very lightly etched and coated with a conditioning liquid to ensure a strong bond with the resin. Next, we will apply the composite material to the treatment area. With a putty-like consistency, the resin can be skillfully sculpted to match the shape of your surrounding teeth, and conceal flaws. We will then use a special curing light to harden the resin, and bond the material to the tooth. Finally, we will make any necessary adjustments and polish your tooth and the bonding sight for a natural-looking sheen. Dental bonding, does not require the removal of any of the natural tooth structure, is minimally invasive, and more affordable than other cosmetic treatments. At Advanced Dental Health, we are focused on finding customized, unique dental solutions that provide optimal results for each patient. If you would like to enhance the appearance of your smile, please contact our friendly, modern practice today to schedule an appointment.